If you run outside, then you know that each season provides you with different conditions in which to run in. Fall is one of my favorite seasons for running. The temperatures begin to drop, the air is dryer, and in early fall, the colors are glorious. But there is one thing that drives me crazy about fall. While it's cooling off, sometimes it's not quite cold enough for a fleece beanie or but yet it's cool enough to have something on your ears. I dislike wind in my ears very much. And I don't like the burning cold feeling on my ears either. What to do? 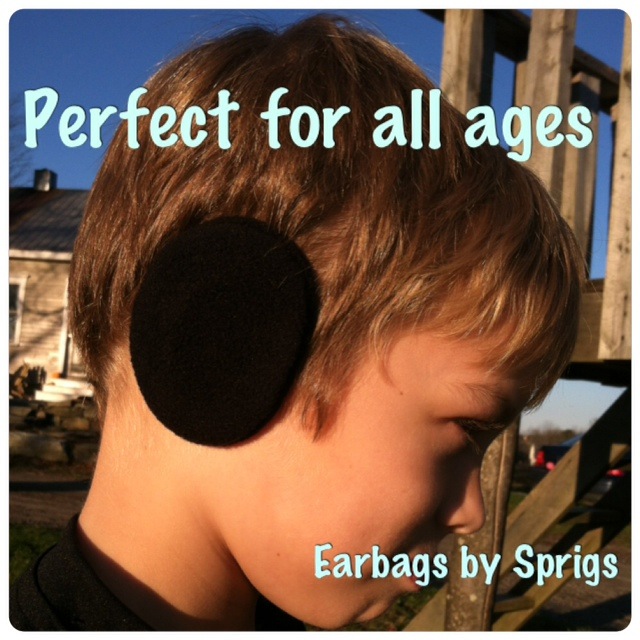 Sprigs has earbags to for situations like these as well as many more scenarios. 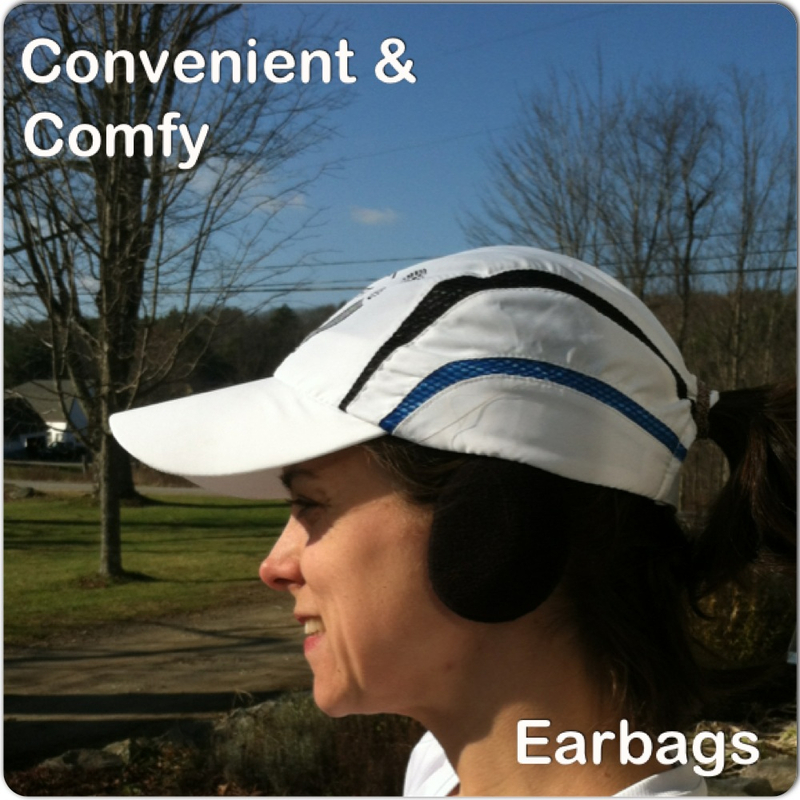 They are sometimes called bandless earwarmers. I chose the Black Thinsulate Earbags to try out. I do live in Maine and it does get quite cold here. My next run I put them on my ears, which was incredibly easy and took no time at all. Here's a quick little video demo to show you how to put them on. They stayed put the entire time. I even popped them on my ears while out in the yard with the kids. They fit perfectly, looked cute, and were thin enough for me to still hear the kids. Be careful though, if you have kids, you'll probably have to get more than one pair because in no time, I had a certain 9 year old boy asking me to wear them because his ears were cold. Like a good mom, of course I gave up my warm ears for his happiness. Im moving to COOLER CLIMES. Cute! Sprigs has great products for sure! I like them! I had never heard of them, so I was happy to read your review. They look like headphones. These are awesome! I got some for my bday! Oh my gosh!!!! 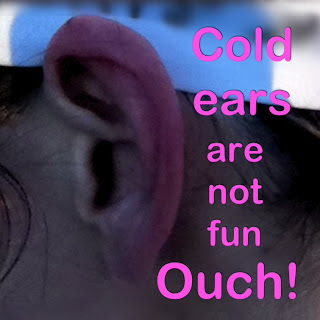 My cold ears are the worst in winter!!! I didn't know these existed!!! Wow!!! Awesome! Those look fun. I bet they do a great job of keeping in the sound of your music as well. Very cool. I want these! 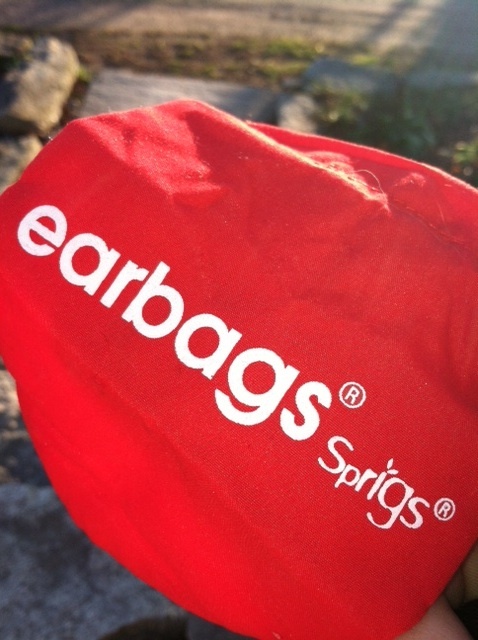 I wonder if they make designer ear bags? Or douche ear bags? maybe dirt bags? 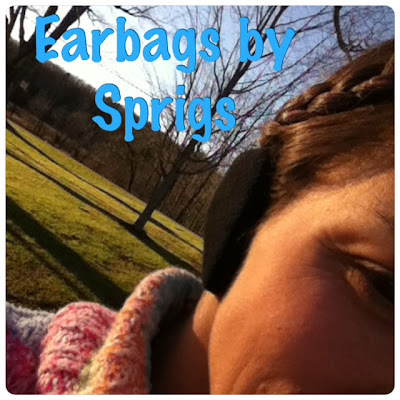 the possibilities are endless... No, really I am using your discount code to get these, my ears are always cold. And it ate my comment. I've never seen these before but I would imagine that you'll get a lot of use out of these. Cool! 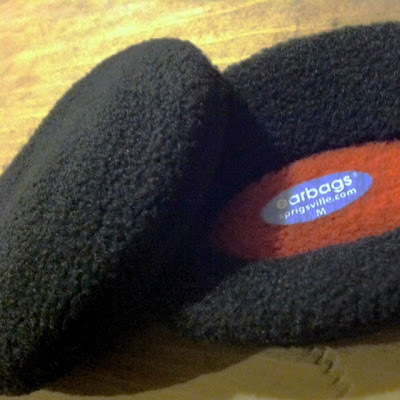 I usually wear a headband that covers my ears, never seen these before:) always looking for something to keep my ears warm. A Running Commute? Yes Please.